Do you have suggestions for my follower? Please post your comments below. I remember that feeling. Learning sign language helped me feel secure. Then I got my implant and I don’t have to worry about losing any more. I would say consider an implant ASAP. I hope you can get your school district to loop your room. You might want to contact the Office of Vocational Rehabilitation in your state, they might be able to help you or the State Office for Deaf and Hard of Hearing. I think the above suggestion about contacting the OVR is excellent if you haven’t done that yet. Not sure what you mean by “loop your room” but what I did with my Spanish classroom was to arrange it in the way in which I could see and hear the best (I have vision loss as well as hearing). The hearing aid helped. I still had the distortion. Through trial and error, I learned to be very clear with my students, both asking and giving repetiton. I understand your fears because I had some difficult days with my high school students. I worked closely with my principal to create understanding among the students for my situation, through an assembly. Hearing loss is socially isolating. That’s a fact. Hearing loss in a teaching setting must be excruciating. There is probably a fear of losing your employment in there as well. Or not hearing what you need to hear for your class. It makes the isolation and fear worse. There came a day when I had to leave social work because of my hearing issues. Nowadays I could have continued, but in the 90’s the technology just wasn’t there to support me. I’m thankful you have options like being able to loop a room. I have a bluetooth hearing aid that lets me listen to thing like telephone and radio through the hearing aid and that really helps listening to the radio in the car or to an iPod or iPhone. That being said, I prefer text messages to phone calls. I find learning ASL a comfort and I’m reaching out more and more into the ASL/Deaf community. Over the long-term a service dog would be nice – decreases the social isolation. Hi, if u have not done this yet, u really should see ur audiologist and find out if there truly is a decrease in ur hearing and if so, maybe ur aids can be adjusted. The other possibility is that there may be a different aid out there for u. Technology changes often and u may not be aware of something that can help u. In the meantime, seek out online support groups if there are none available locally. U would be surprised at how much u can gain emotionally. I have to say that my new Phonak aid (very expensive and well worth it) has really opened up the world to me again. It is bluetooth and works with an iCom for the phone, an FM system and more. They have extremely strong models of the one I wear. Possibly VR can help if you don’t have the insurance and need an upgrade. If you are in the US you must get reasonable accomodations from your employer. Best of fortune to you! I have found that acceptance of hearing loss comes in waves. There are little triggers always. Like losing more hearing. Like realizing there is yet another thing you can not hear. And it is hard to accept. Then you work through it. And another trigger comes, maybe it affects you less but it still affects you. Many of us with hearing loss develop anxiety. That could be what’s waking you up. You may want to consider treating that. So you have the energy to employ the dozens of accommodations that daily life requires. Hearing loss is lonely. Yet I found that I was avoiding too many social situations. Looking back, there were people I could have connected with more but its just so easy to isolate!! I like the others suggestions of joining online support. Sorry, I got cut off. If you prefer to contact people in person instead of online, maybe you can start your own support group and advertise in the paper or in the Audi’s office or on bulletin boards in the grocery stores? 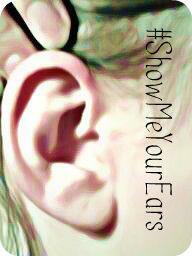 There are so many of us who have significant hearing loss in this hearing world. You can contact any of us! You are not alone! I agree, especially with starting your own online group. I’ll join to give moral support and learn more about the voice occlusion. If that is not being able to hear the words and mispronouncing becase you can’t hear, I found one way to fix it. Record your voice now to give yourself an audio dictionary. Play it back every time you have a niggle of anxiety to remind yourself how the word should be said. Play it anyway at least once a week to remind your brain about pronouncing words. A client was told that after being deafened, she would lose her ability to speak within 10 years. 20 years later it hadn’t happened and she didn’t know why. Maybe we could get someone to make an audio dictionary. What do you think about that? Think of your favourite actor and ask him/her to take part. Chances are the reason you like him/her is because they speak clearly. Take as much support as you can: the Principal. See my last post on Access to Work. There must be something like that where you are. My mission is to prevent social isolation although I like to be alone because it’s peaceful. As you also have a hearing-aid you will understand. Have you thought of BAHA? Hearing your voice through the bones makes it that much louder. Just my two cents. Thanks for the helpful suggestion!